On Sunday, 21st April 2019 we celebrate Easter. I’m here for the Eggs! 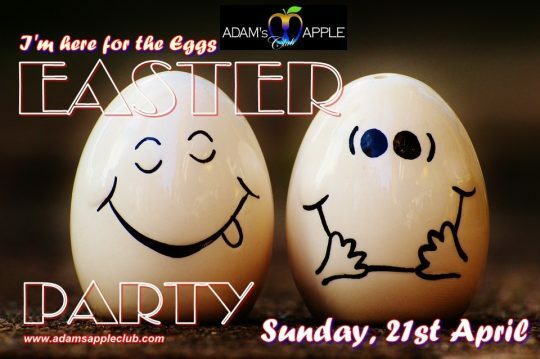 We are happy to welcome you to our Easter Party 2019 @ Adam’s Apple Club in Chiang Mai on Sunday, 21st. We wish YOU Happy Easter Eggs!